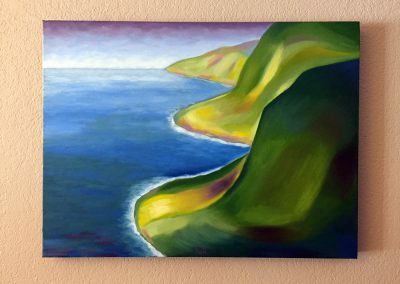 Over the last few months, I’ve completed a few pieces based on a couple of locations on the north coast of the Big Island of Hawaii. 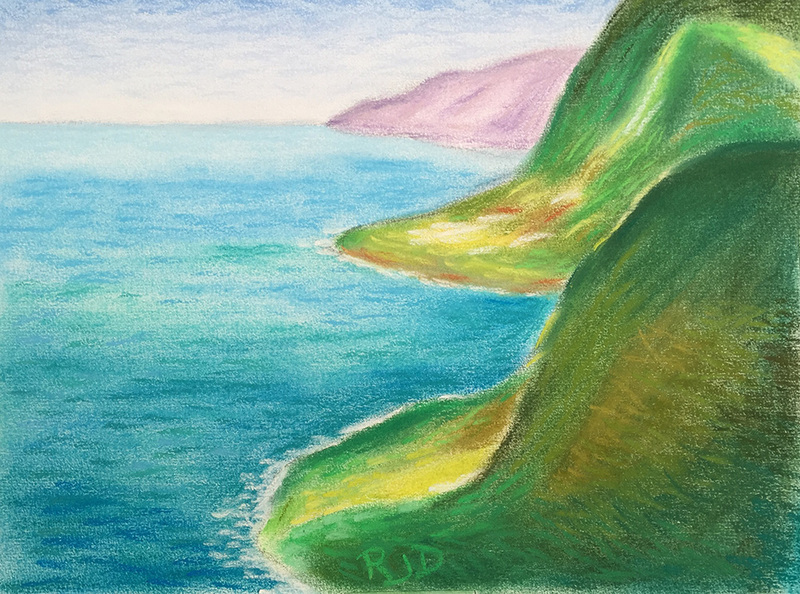 These are of views of the cliffs located on the north shore, in and around the Pololu and Waipio valleys. 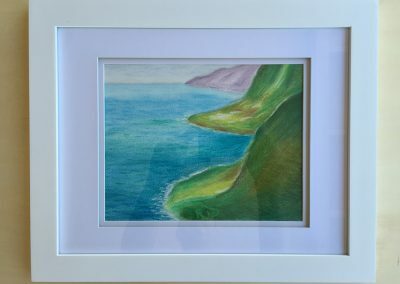 I’ve done a pencil drawing, pastel and oil painting of a view of the cliffs, which is an imagined view of the cliffs looking to the east. 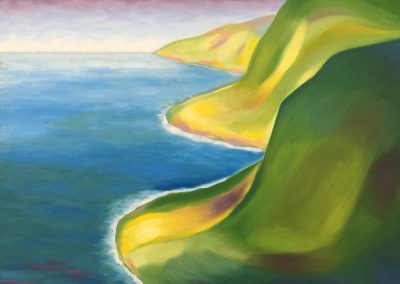 The pastel and oil painting feature a color scheme of yellows, greens, blues, and purples — the colors are also imagined, pushing the palette beyond what one would see in nature. 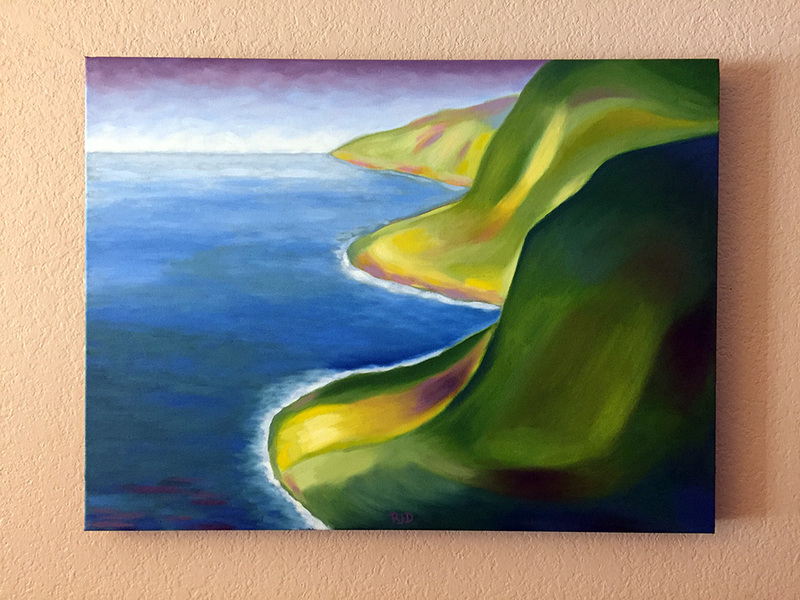 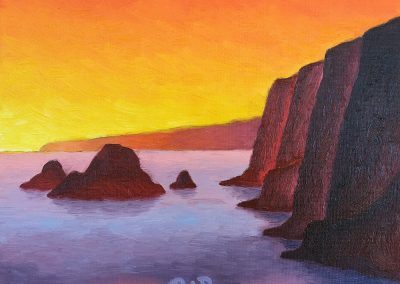 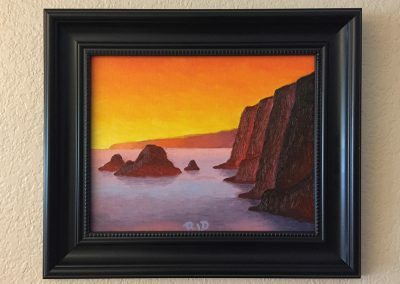 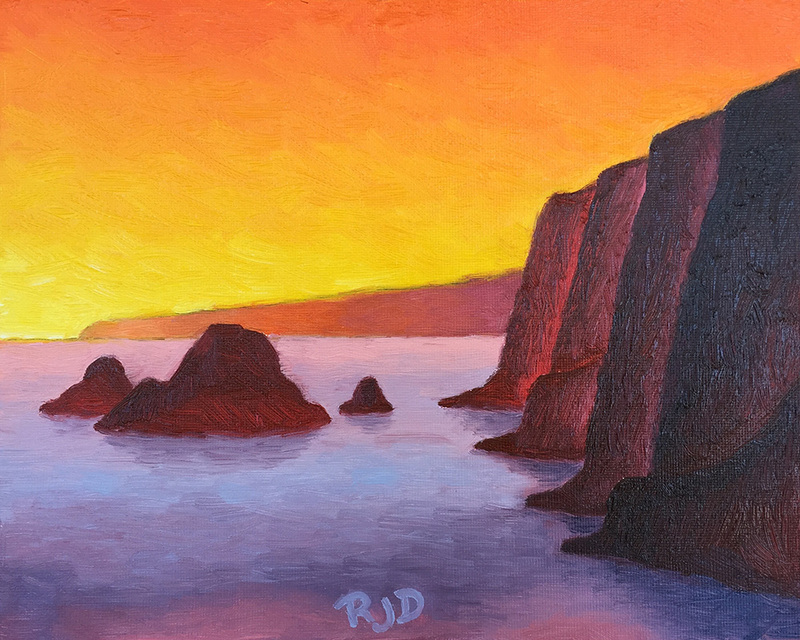 The last piece is a small 8x10 painting of the cliffs east of the Pololu Valley lookout. 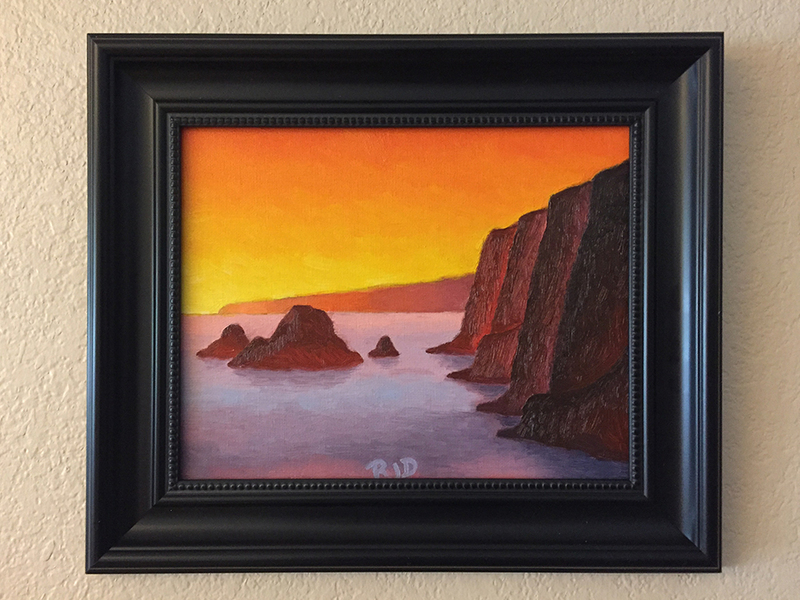 I used another imagined color palette of warm yellows, oranges, reds, and purples to give the feeling of a warm sunrise emerging from the east. 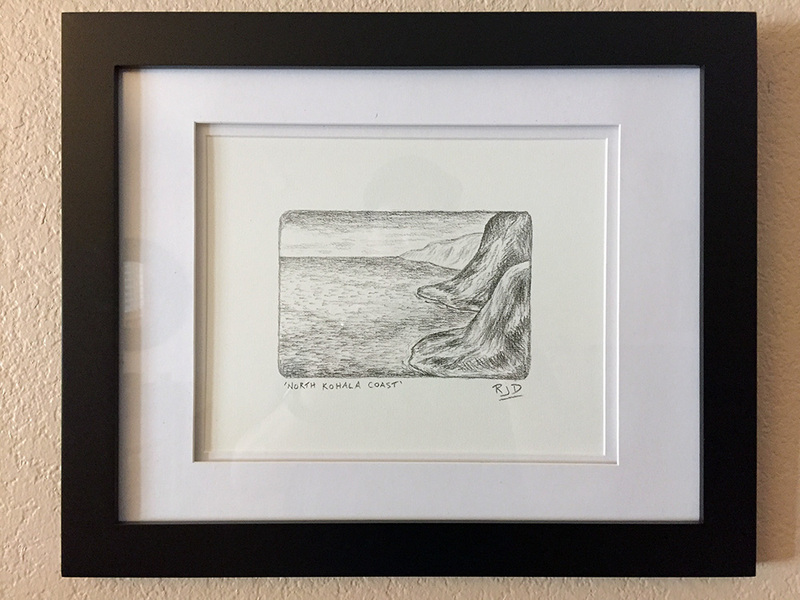 I’m happy with how these pieces turned out, and all but the pencil drawing were in the WATER show at the Fearless Art Works gallery. 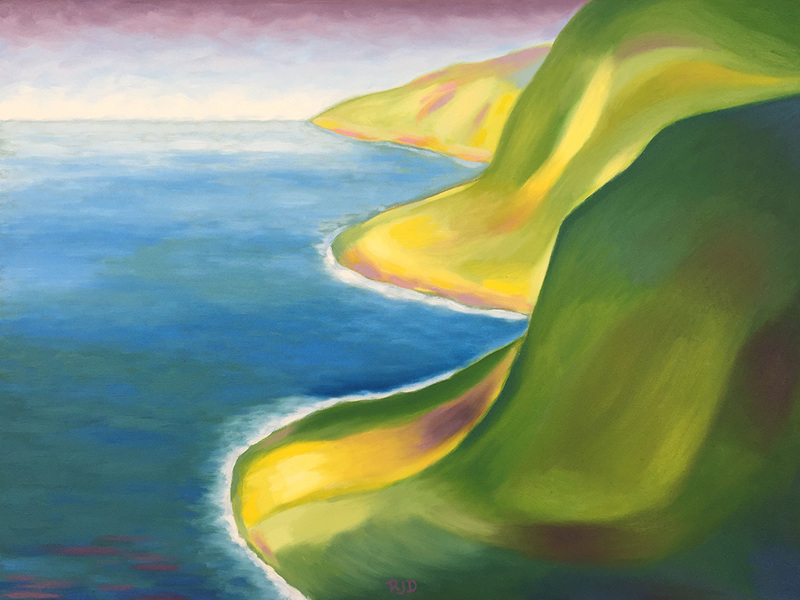 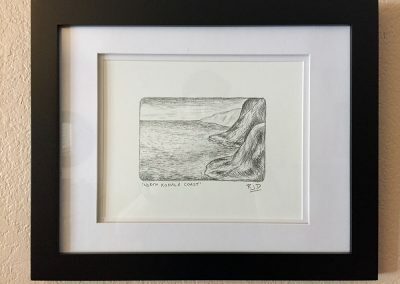 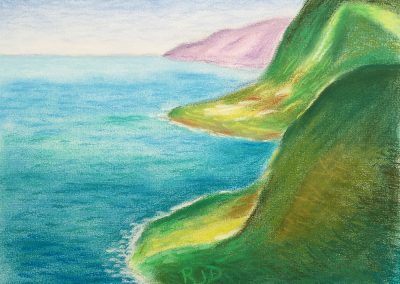 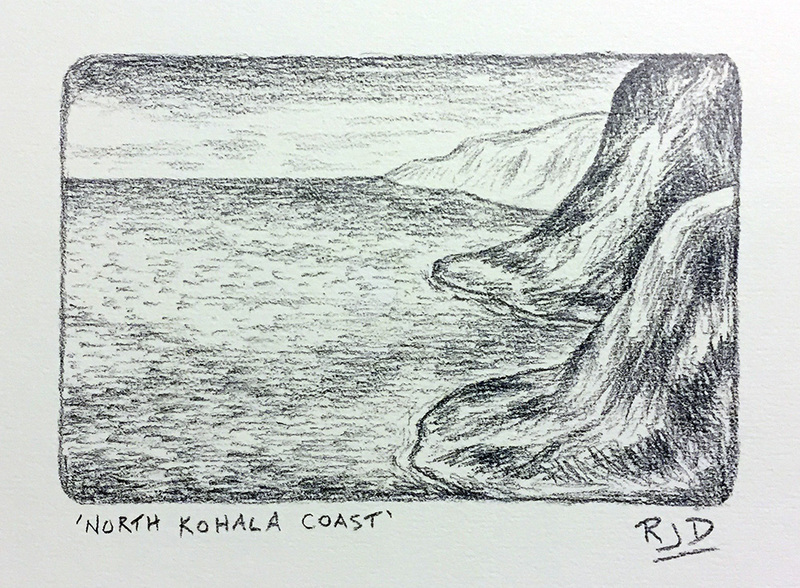 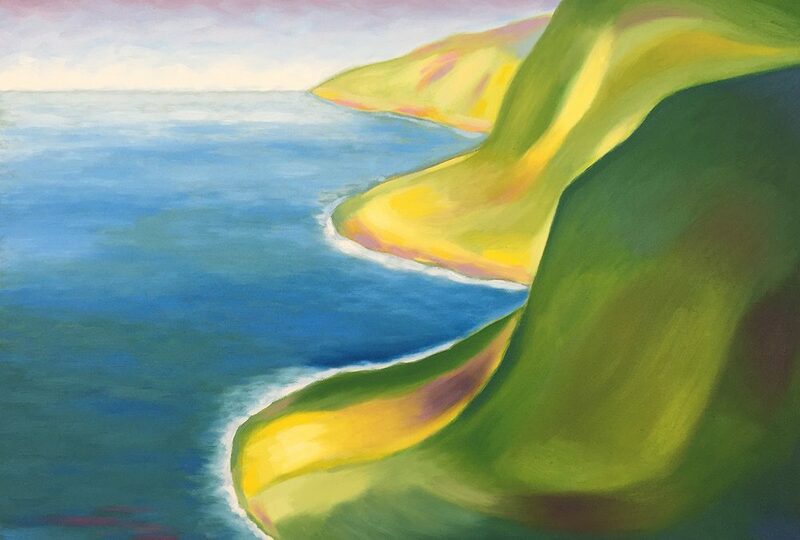 I’ll likely do more pieces in this series, and I have a piece in mind that is a view from the Waipio Valley Lookout, east of the Pololu Valley. 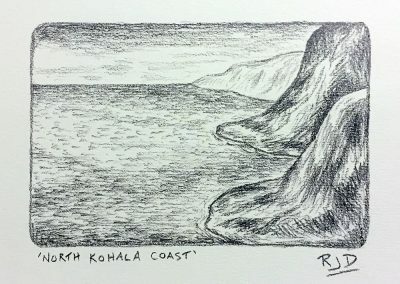 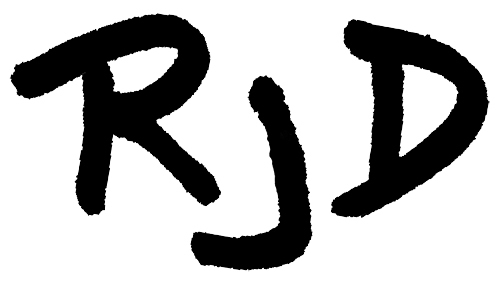 I’ll most likely do a pencil, pastel, and an oil painting or two of it, and I’ll post those pieces when I get them finished.